Around the holidays it is always nice to give and receive cards. 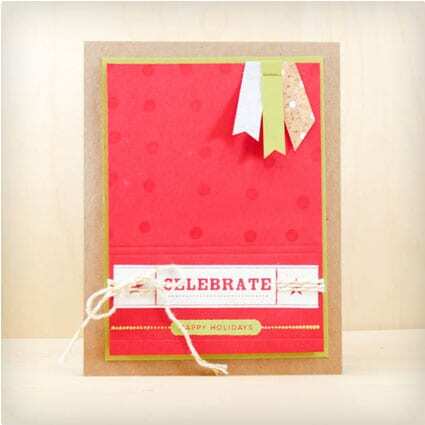 They are so easy to make that you can crank out a ton of these elegant cards in not time. 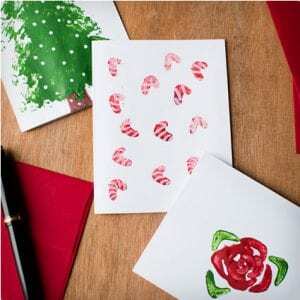 With these easy to make stamped greeting cards you can be ready throughput the holiday season! 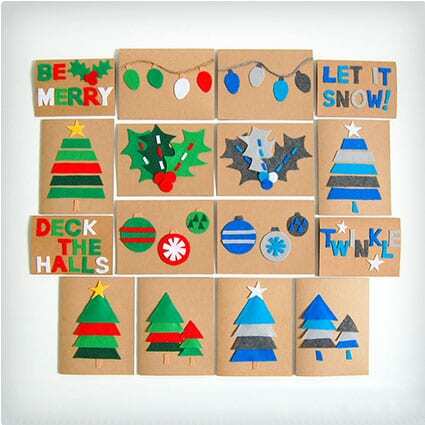 These simple and elegant christmas cards are not only easy to make, but also give you a change to reuse those snazzy gift tags! 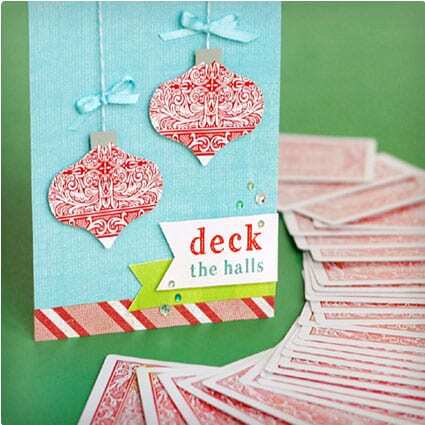 Give these DIY cards a try for an up-cycled project that is done in no time at all! Modern holiday cards are a popular trend, but they can cost a small fortune. With this easy DIY modern look you’ll have grown up cards at a fraction of the price! The best part is they are sure to impress your loved ones this holiday season! This super simple DIY photo card can be made at home with a printer, some photo paper, and colored paper. Make use of some of those handy pictures you’ve taken throughout the year and make these fabulous holiday cards! 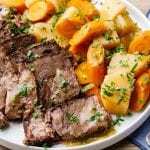 They are simple, yet are sure to impress your friends and family. There are certain scents that remind you of the holidays such as pine or peppermint. 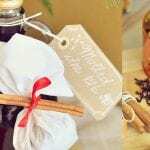 With these homemade cards you can give the gift of holiday scents by incorporating peppermint, cinnamon, or pine in your cards! And there is also the added benefit of giving your recipients the opportunity to slow down and enjoy your card. 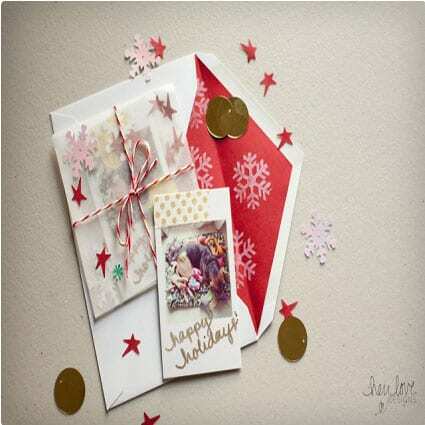 Generic holiday greeting cards can be so boring, so why not create some of your own! 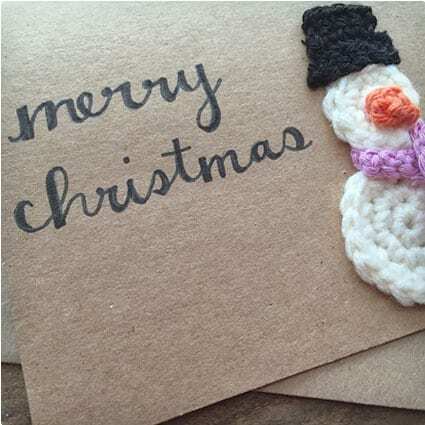 With these easy to make crochet cards it is a great way to add a personal touch to your Christmas cards. 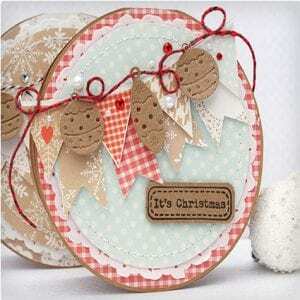 If you don’t already know how to crochet it is easy to create these cards with other embellishments! 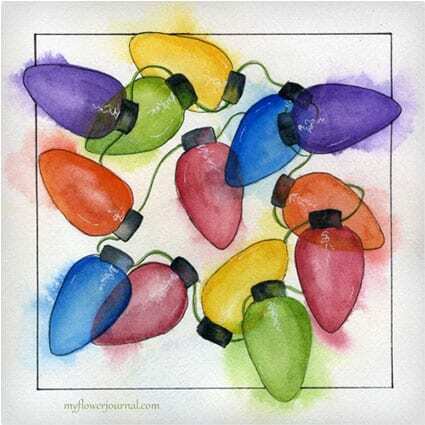 These lovely cards are a perfect blend of watercolor and embossing. 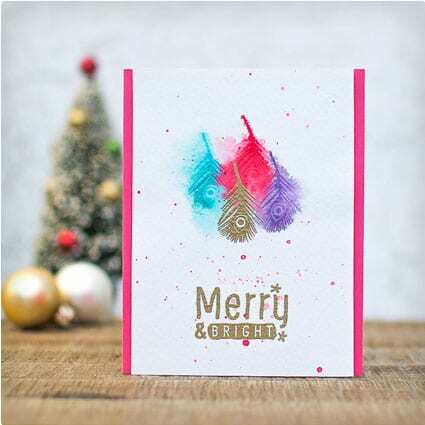 The colors are completely customizable and the embossing gives your cards a wonderful texture that is appealing to both your eyes and hands. 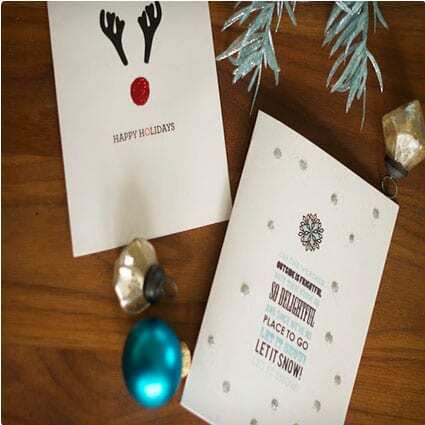 They will bring a level of elegance and put a personal touch on your holiday greeting. 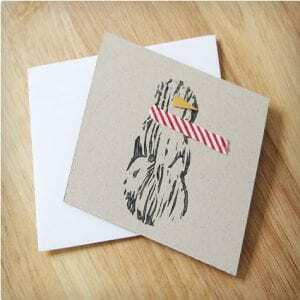 These rustic cards are absolutely charming with metal accents. 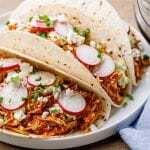 They are super easy to make and have a nice weight and texture because of the rusted pieces of tin. 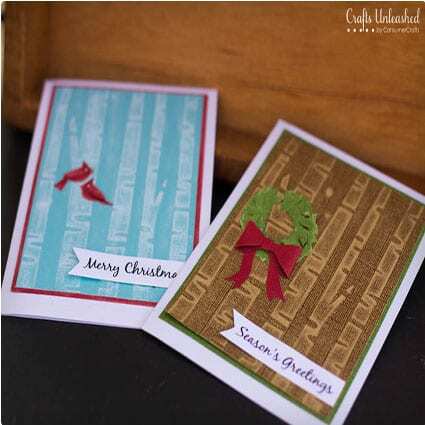 They will add a nice woodland feel to your holiday greetings! 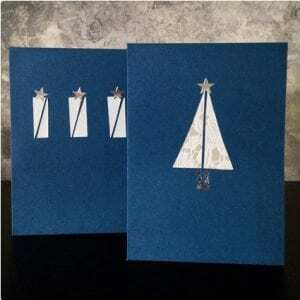 This simple DIY Christmas card is both elegant and playful. By using some twine as an accent you’re able to add a nice rustic feel to what might otherwise look like a store bought card. 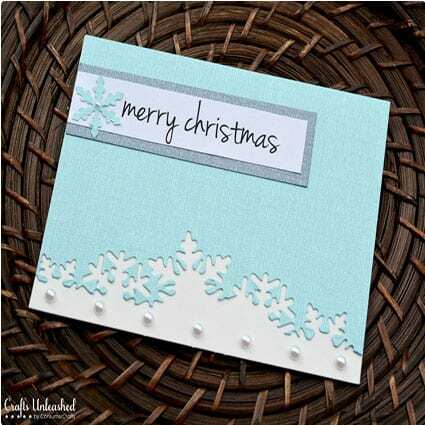 Try this one today to see for yourself how easy it can be to make an elegant card! These simple to make cards just require mini photographs of your choosing, glassine envelopes, and some confetti or small paper punches. When you put them all together you have an elegant and beautiful card that is sure to wow your recipient! 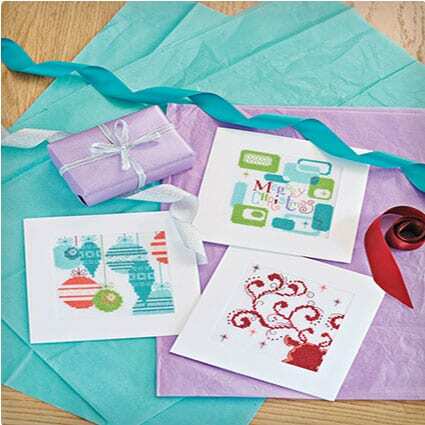 These last minute homemade cards take only three steps to complete and look absolutely stunning! Give these cards a try if you are short on time or merely new to crafting. 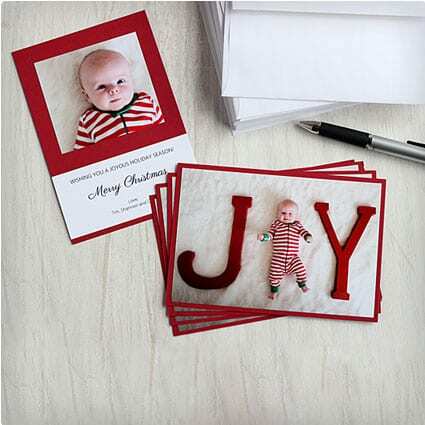 They are the perfect card for anyone who wants to send their holiday greetings in a special way! 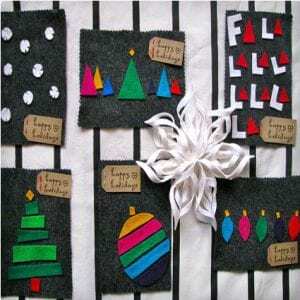 This is the perfect easy DIY card that also has a more modern feel while evoking a popular image of winter and the holidays. 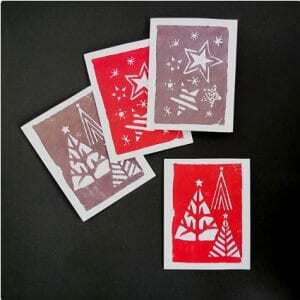 All you need to do is carve your own stamp out of a rubber carving block and presto! You have an easy way of stamping your favorite images of winter! If you love color, then these are the perfect Christmas cards for you to make! All you need is some felt in the colors of your choice, white glue, and your creativity to create these wonderfully bright and colorful cards. 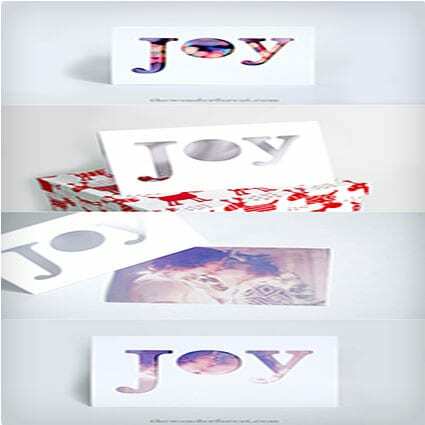 It is sure to bring some cheer to your recipients this holiday season! 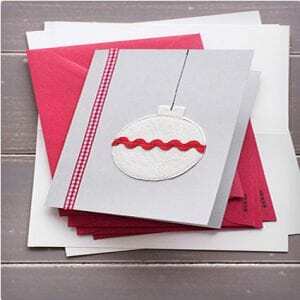 These Christmas cards are a perfectly simple way to create elegant and unique cards. 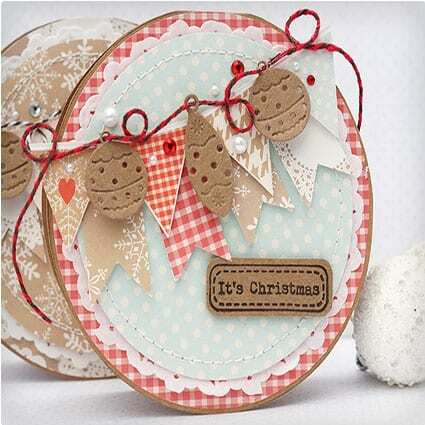 By sewing a flat ornament made of felt onto your cards it gives it a more polished look and feel. It’s simple and yet so fun and elegant. 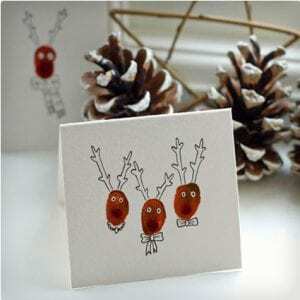 The little reindeers on these cards are not only super easy to make, but requires very few supplies. The materials you need for these cards are general purpose items that you probably already have around the house which saves you tons of money in the process! If you love puns then these are the perfect cards for you! The best part is that you can get creative with your puns and the materials you use for your cards. Get inspired by straws or even a deck of cards! 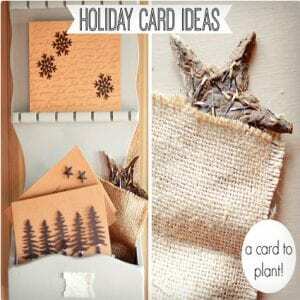 If you are looking for a DIY holiday card with a wow factor then look no further. You can paint these beautiful bulbs to appear as if they are actually glowing! All you need is watercolor paper, transparent watercolors, a pencil, a white gel pen, paper towel, and a spray bottle. These DIY Christmas cards bring a unique and funky retro style to your greeting cards. Use some metallic threads for extra sparkle and pizzazz! One thing for sure is that these are not your grandma’s cards. Get creative and have fun with the design! If you are looking for a simple and personal DIY card this year then this is the perfect idea for you! You can customize it with any photo or artwork. 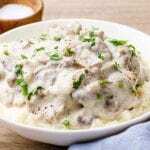 These are sure to impress anyone! 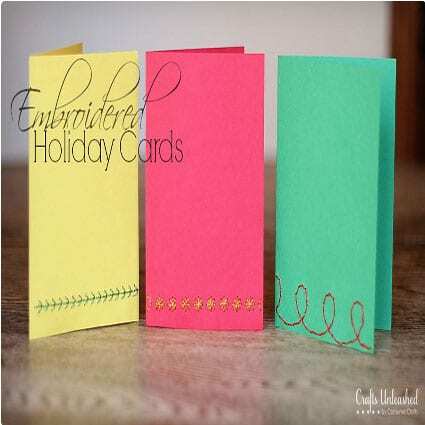 Try it today to see how easy it is to make elegant and impressionable cards. These make for perfect last minute holiday greeting cards. 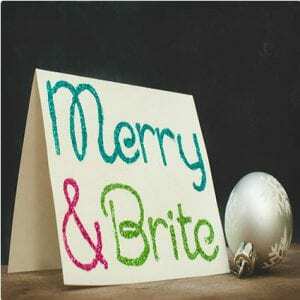 Just print out your favorite holiday sayings or greetings on some cards and then add glitter in fun areas like small patches for snow or on the reindeer’s nose! Plus, who doesn’t love a little glitter with their holiday greeting?! Nothing says fun like a pop up card and with this DIY design it gives it a modern and yet retro flair. Give this homemade card a try if you are looking for something unique to send to family and friends this holiday season! These simple and fun holiday greeting cards only require 6 materials and tools. 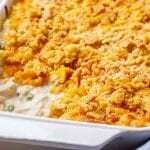 They are easy to make and will bring a smile to your friends and family this holiday season! 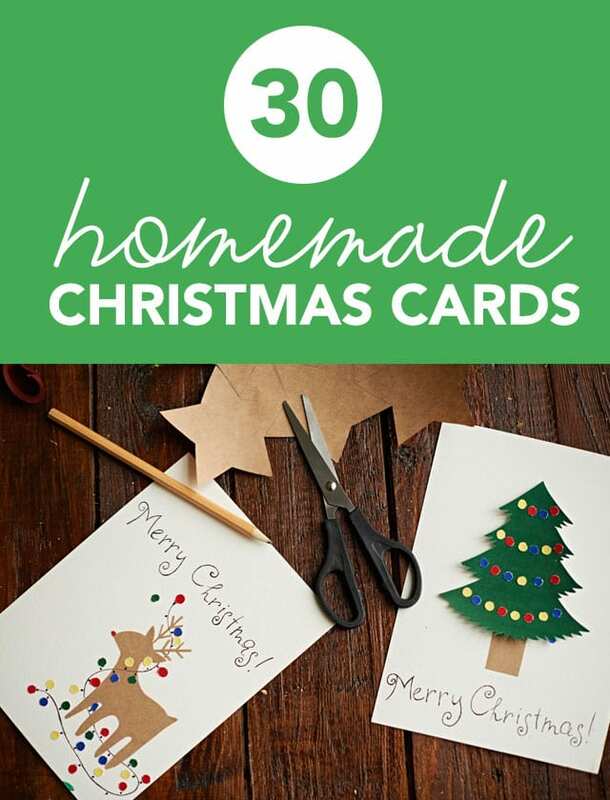 Try it to see how easy it can be to make your own homemade cards. Nothing says winter better than snow flakes they are cold and each individually beautiful. 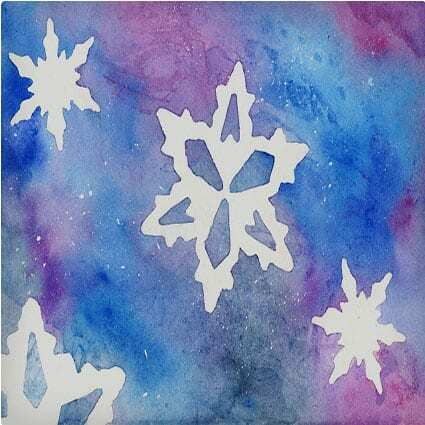 With this DIY card you’ll be able to create wonderful and color snowflakes on your holiday cards that are sure to bring a smile to your friends and family! 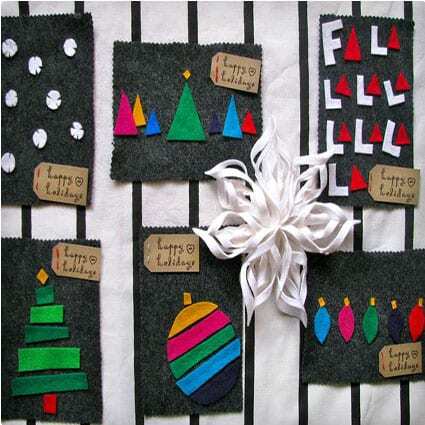 These simple cards are great to make with the kids, especially with little girls. 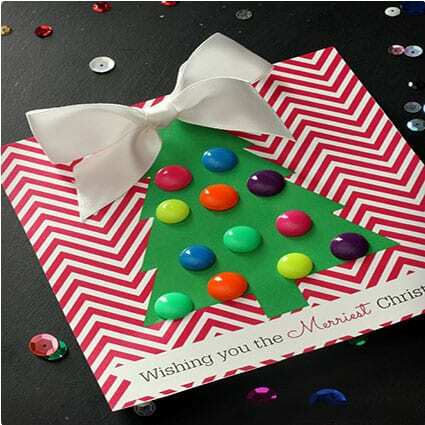 All you need is a basic christmas card with a tree and some candy dot earrings for the ornaments! 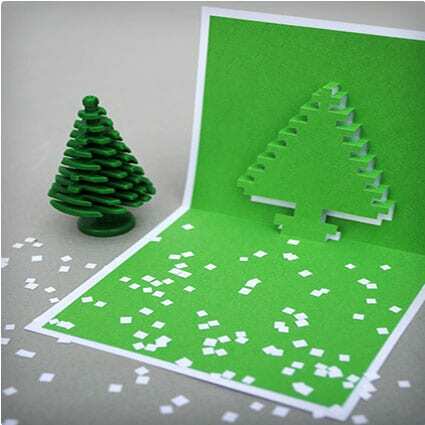 Simply stick them in the cut out paper trees and you’re good to go. Winter scenes are some of the most tranquil so why not incorporate them into your holiday cards? These DIY cards are easy to make and just require some embossing paper, scrapbooking paper, and a template! They make take a little more work and patience, but the outcome is worth it. 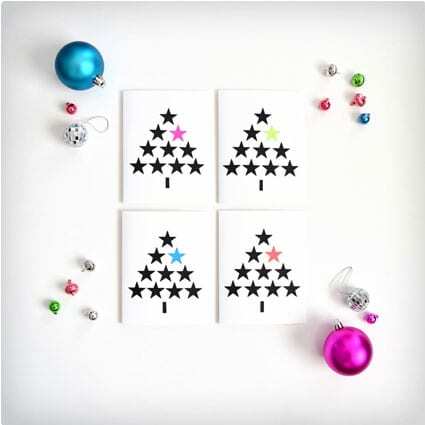 For a truly unique and elegant take on the traditional Christmas card try these. It is a great way to recycle those old CDs and offers a standout way of spreading holiday cheer! The exposed parts of the CDs even add a little sparkle all on their own. These beautiful cards are usually given out during the Indian holiday of Diwali, but they make for wonderful all around holiday cards too! 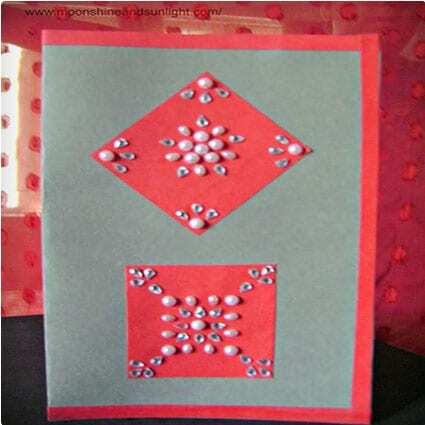 You just need some colored card stock, rhinestones, and glue to make these stunning designs. Give these simple designs a try today for something special. If you want to give your loved ones the gift of words this holiday season then look no further than these simple, yet elegant cards! With the right tools you’ll be able to create understated cards that won’t detract from your words of love. For a more compact way to share photos from your year try this simple accordion style holiday card. It is simple to make and yet also affords you the ability to make it playful and elegant at the same time. If you love your die cut then this is the Christmas card tutorial for you! With some good quality paper and rhinestones you can create a wide assortment of holiday cards that are sure to amaze! These may cost a little more since they use a number of rhinestones, but they are excellent grown up cards that will impress.